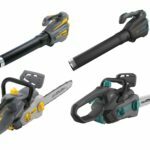 Worx announces a new mower part of their power share 20V cordless system with the Worx WG751 40V 2x20V 20″ Power Share Lawn Mower. 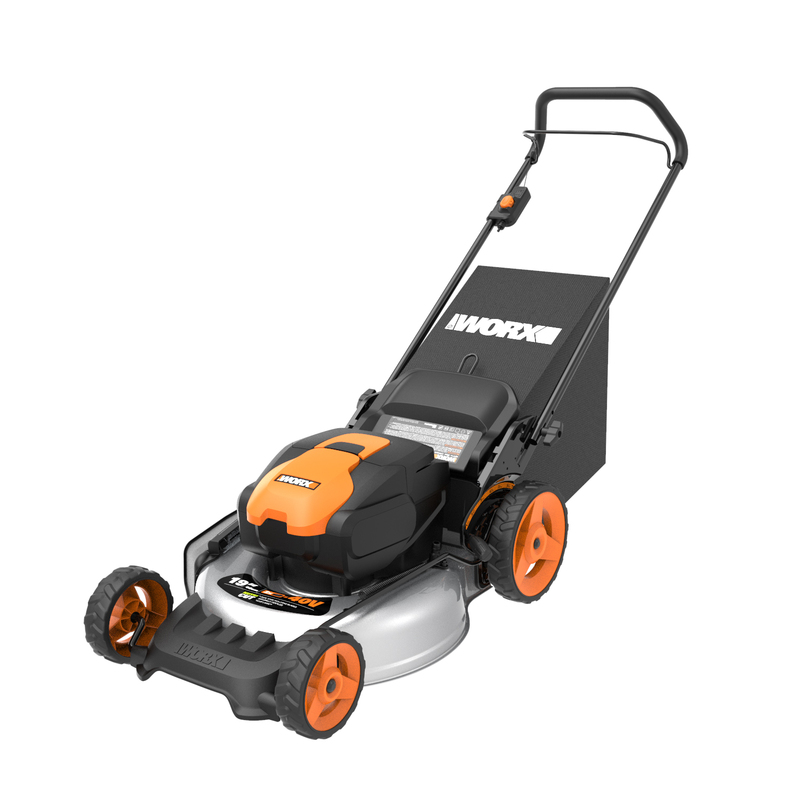 While the new Worx WG751 mower is part of their 20V cordless line, it’s actually a 40V mower and it uses two 20V batteries in parallel to achieve 40V max (actually 36V). This is similar to what Dewalt is doing with their 2x20V 40V max mower. The new Worx WG751 mower shares many similarities with the several years old 56V WG772 model and has a similar almost identical design with a 20″ steel deck although actual cutting width is 19 inches. It can bag, mulch and side discharge grass clippings and everything is included for all three functions. The steel deck has a side discharge chute. 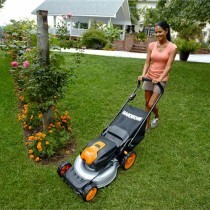 Just like all 20V power share tools, this mower is compatible with Worx 20V lithium ion slide pack batteries. Other features include a folding handle design for compact storage when not in use. It doesn’t appear to have a brushless motor and no headlights like newer battery powered mowers do. 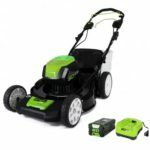 It comes as a kit with two 5.0 ah 20V batteries, bag, mulch plug and dual battery charger and will retail for $349.99. 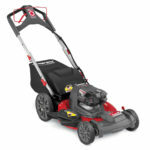 The 20″ 40V Power Module mower includes 2 removable 20V 5.0Ah batteries that delivers 40V Power and Performance. Quick single lever cutting height adjustment to form to any yard.